Laura Robb is an author, teacher, and coach and speaker. 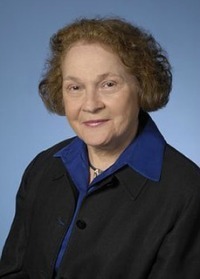 She has more than 40 years of teaching in grades 4-8. She has written more than 25 books on literacy. 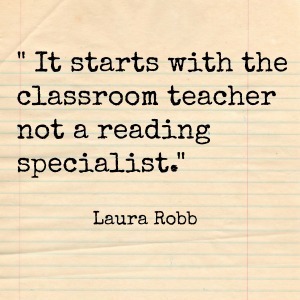 Today, we are talking about her book The Reading Intervention Toolkit. 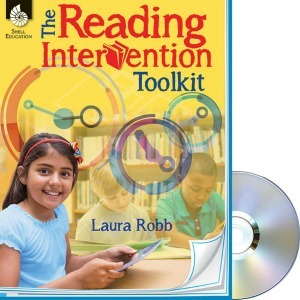 Check out my review of The Reading Intervention Toolkit. This book will help you understand how to address the reading challenges of your students. It is designed for the classroom teacher to quickly put strategies for reading intervention immediately into place in the classroom. It is easy to read and understand. Laura believes that addressing the reading challenges of the kids is probably one of the most important steps a teacher can take to increasing student achievement and success in content areas. This book was written for the practitioner. It will help you move your kids forward.